This years small easter eggs are filled with color and spring warmth. 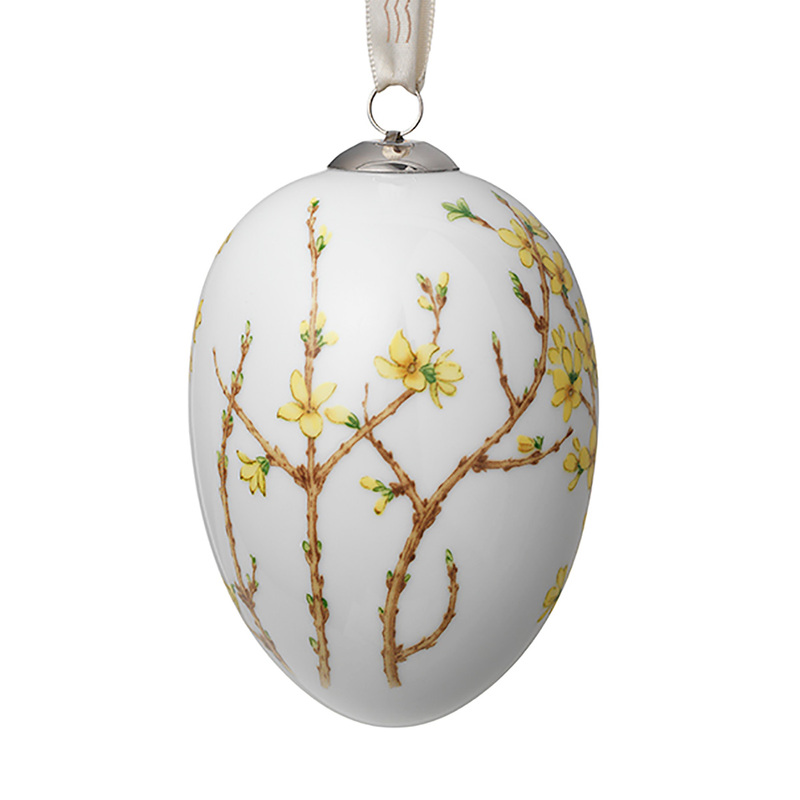 Motifs of colorful yellow and blue butterflies, scilla and crocus flowers, as well as a warbler bird adorn the decorative eggs. Shaped like a narrow bell formed from its long and thin petals, a yellow Forsythia flower, representing anticipation and the true blossoming signs of early spring, form the decoration of this years hanging Goose egg. The standing bonbonniere is decorated with Cherry Blossom, a short lived and fragile flower that is very beautiful when in full bloom. The motif of the laying bonbonniere features classic white daisies with their characteristic yellow center. The bonbonnieres are ideal as beautiful standing pieces on a table, a potted flower, or a hiding place for small chocolate treats.